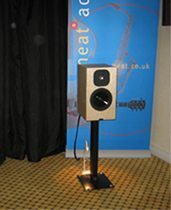 The new Momentum loudspeakers were given their first public showing at the Bristol show in February, attracting a tremendously positive response from public, distributors and press alike. The smaller Momentum 3i continues the Neat tradition of extracting a large scale performance from a compact enclosure. 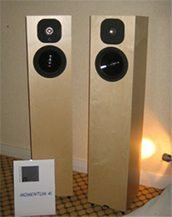 The Momentum 4i, with its unique bass loading system, proved its ability to deliver deep, tuneful bass without overloading the modestly-sized demonstration room.